Named for nature photographer and conservationist, Windland Smith Rice, the annual Nature’s Best Photography Awards exhibitions present the very best of today's nature photography as large-format fine art prints and video. 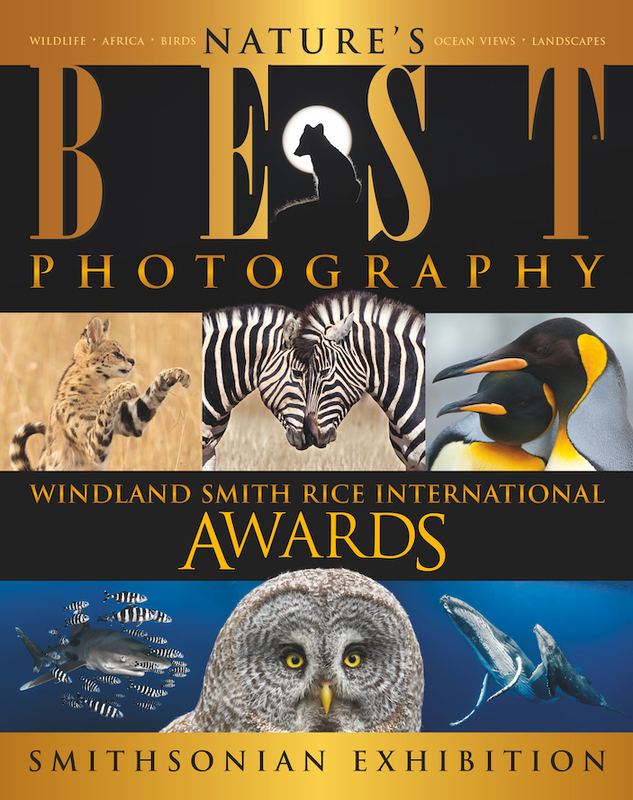 From more than 26,000 entries submitted to the 2018 Nature’s Best Photography Windland Smith Rice Awards, sixty images were selected to showcase the extraordinary work of outdoor photographers in 59 countries. United by their creativity and technical skill with a camera, these artists of all ages and experience levels share their visions of nature to inspire its conservation. The print display features the Windland Awards category winners and a selection of the Highly Honored images from the competition, including winners from Nature's Best Photography Asia and the Audubon Photography Awards, and is accompanied by an HD video. Visit the Smithsonian's National Museum of Natural History, located at 1000 Madison Drive, NW, in Washington, D.C.
FREE and open to the public daily (except Dec. 25).